Inter are not interested in signing Mesut Ozil in a possible swap deal with Arsenal for Ivan Perisic this month, it has been claimed. Arsenal want to snap up Perisic, but have already seen Inter knock down a bid to sign the winger on loan with an option to sign him in the summer on a permanent deal. The Gunners do not have the financial strength to buy the winger on a straight forward transfer and are hopeful of convincing Inter to let him go. 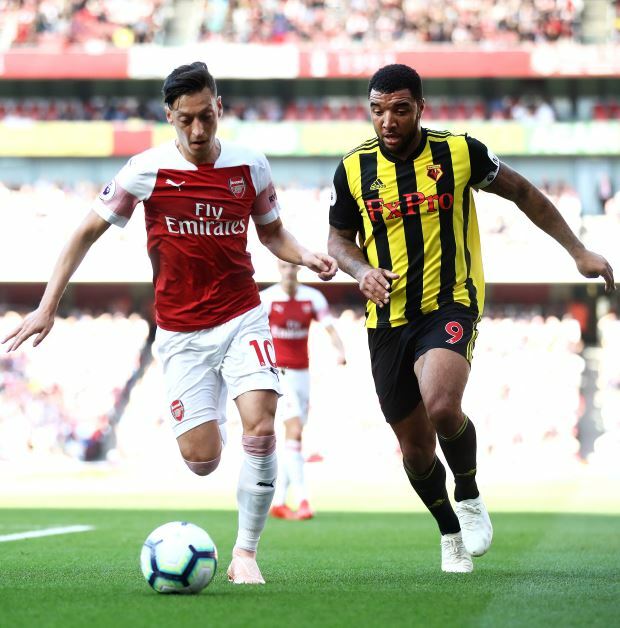 There are suggestions that Arsenal could look to use Ozil, who is the highest paid player in the club’s history, but is no longer a certainty in the team, as a makeweight in the deal. But according to Italian daily Gazzetta dello Sport, Inter are not considering the option of signing the German as part of a swap deal to send Perisic to Arsenal. The Nerazzurri either want Arsenal to do a straightforward transfer deal for Perisic or accept to insert an obligatory purchase option in a loan agreement. The 29-year-old Croatian wants to join Arsenal and has slapped in a transfer request with Inter. He has also reportedly agreed on a three-and-a-half-year contract with the Gunners, but for the moment the two clubs are far from reaching an agreement.